Google launches Pixel C tablet and Chromecast Audio device. 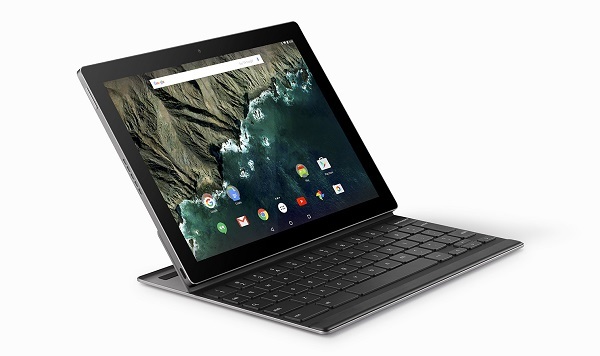 Google today launches Pixel C, the first Android tablet built end-to-end by Google. Google today also launched two new Chromecast devices. The new Chromecast has a fresh design, and is easier to plug into TVs with crowded ports. 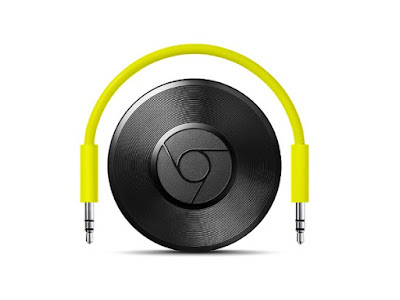 Chromecast Audio is a small device that plugs into your existing speakers, so you can stream your favorite music, radio and podcasts over Wi-Fi, similar to Chromecast. Pixel C is the first Android tablet built end-to-end by Google. The Pixel C brings together the benefits of a full-size keyboard with the portability of a tablet. The tablet and keyboard attach magnetically, so it's easy to switch between typing and using the touch screen. And if you're familiar with the Chromebook Pixel, you'll immediately see the family resemblance: the Pixel C has the same beautiful aluminum design, great display and USB Type-C port. The Pixel C will be available in time for the holidays on the Google Store. The new Chromecast has a fresh design, and is easier to plug into TVs with crowded ports. It supports the latest Wi-Fi standards and adapts more easily to changing Wi-Fi conditions in your home, so you get higher quality video with less buffering. Chromecast Audio is a small device that plugs into your existing speakers, so you can stream your favorite music, radio and podcasts over Wi-Fi, similar to Chromecast. It works with tons of apps, including Spotify, Pandora and Google Play Music. Just like Chromecast, it works from anywhere in your home with your favorite devices, including Android, iOS, and laptops. And it's available on the Google Store and other online retailers for just $35-way less than most Wi-Fi speakers today.